It is amazing the variety of makeup that is available. Makeup stores offer rotating sales and new products constantly, and the makeup teenage girls buy can really add up. 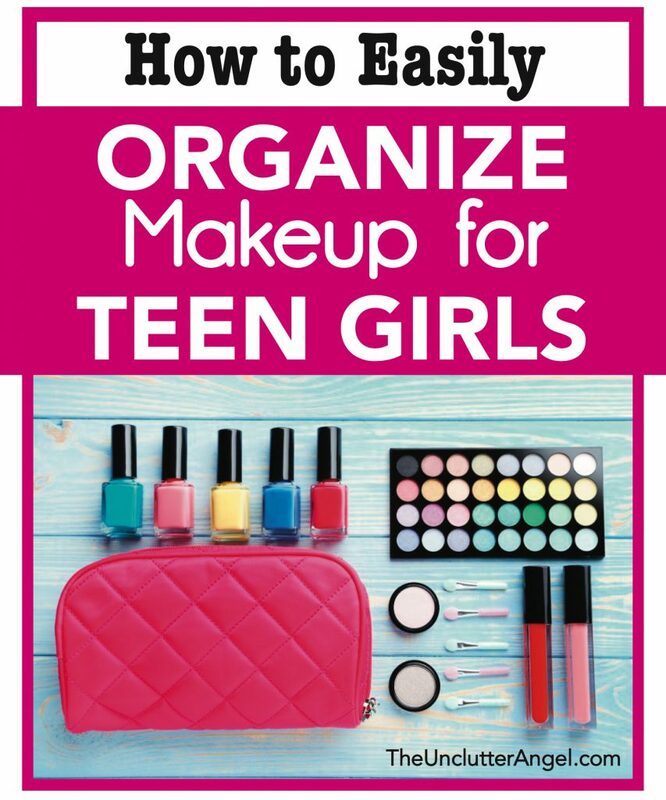 If you are a young lady who loves to wear makeup, or are a parent of a daughter that enjoys makeup, here is how to easily organize makeup for teen girls. I love watching my daughter enjoy putting on her makeup. She is an artist. It’s amazing to me how she learned how to use the palettes and tools, when I hardly wear makeup at all! She has taught me a few things about makeup, and I have taught her a few things about organizing it! 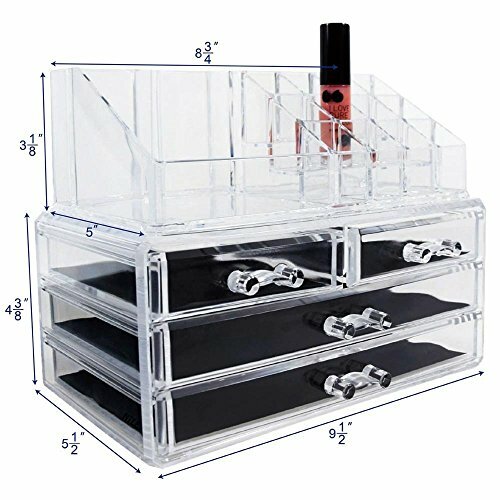 Having your makeup organized will help you keep track of what you have on hand, avoid buying duplicates, and easily manage to keep your makeup current and fresh. 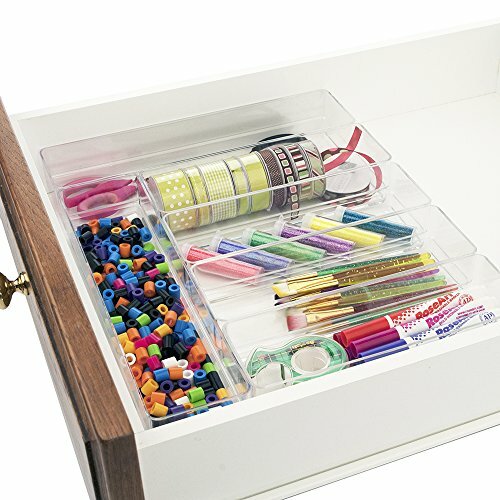 If you have the space or you are looking to add a drawer set to your space, using drawers for makeup organization helps to keep everything out of site. It’s amazing how much counter space bathroom items can take up. It’s a good idea to measure your drawer space before you purchase drawer organizers. They aren’t expensive, but it will save you time having to return them. If they don’t seem to fit even after you measured, you can always use them in your desk drawer or kitchen drawer. The dividers also help you to see what you have so you don’t buy duplicates. Buying duplicates can be a waste of money since makeup has a short shelf life. (I made this mistake when I bought multiple mascaras because of a “sale”) They don’t last for long! 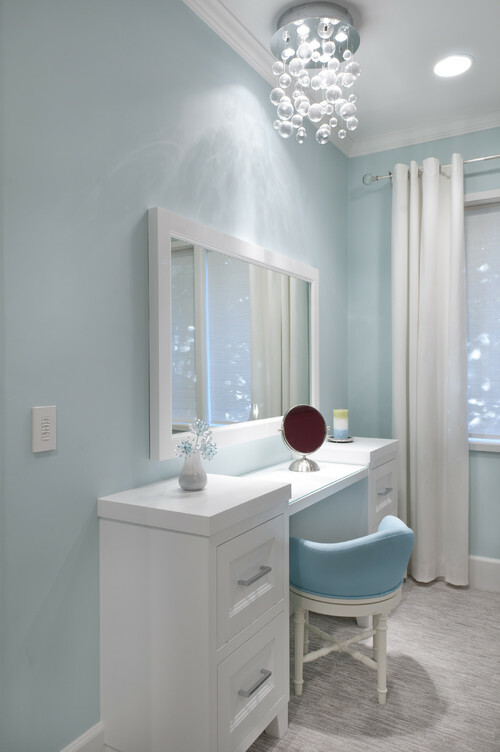 You may have the space to have your makeup and accessories stored on your vanity or bathroom counter. Because make up is so colorful, if organized nicely, it can look very decorative! 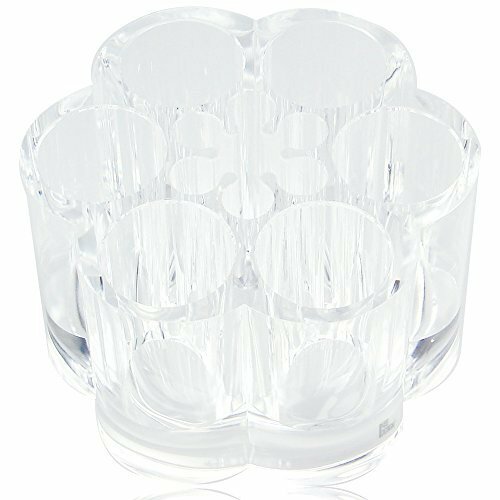 These organizers are very cool because they can beautifully display your makeup. 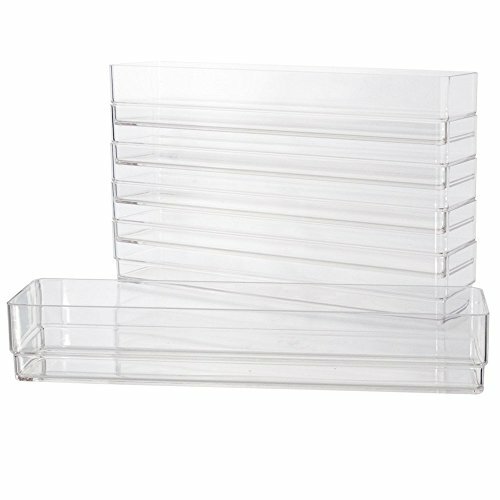 There are a large variety of makeup tray organizers, just depending on the amount of space you have on your counter or vanity. 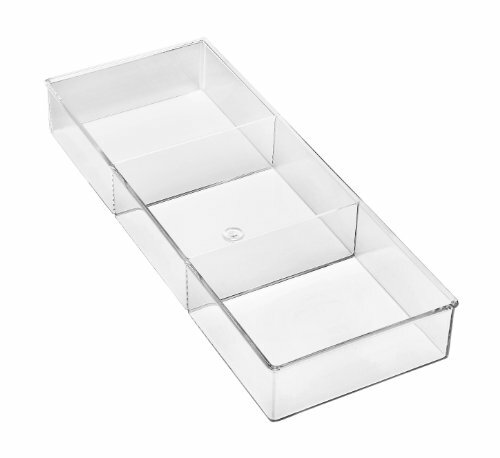 Organizers with different compartments can be perfect for keeping products upright, like nail polish, or products from getting damaged, like eye shadow. 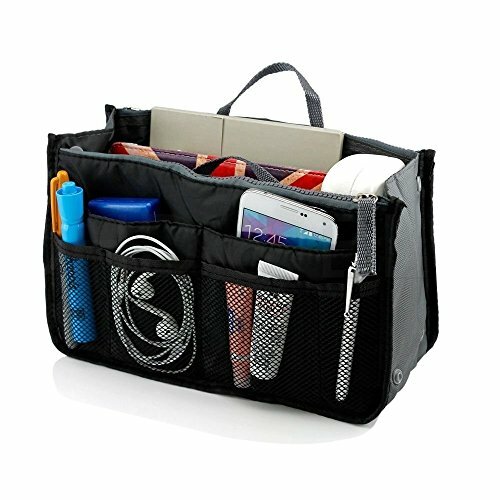 If you don’t have space for your makeup supplies in drawers or on a counter, a tote is a perfect solution! My kids use plastic totes like ones used for carrying cleaning supplies. These are easy to keep clean. Here are a couple super cute tote ideas. It’s interesting how when I have less supplies, I feel I have more. When I have more choices, so much can be wasted! 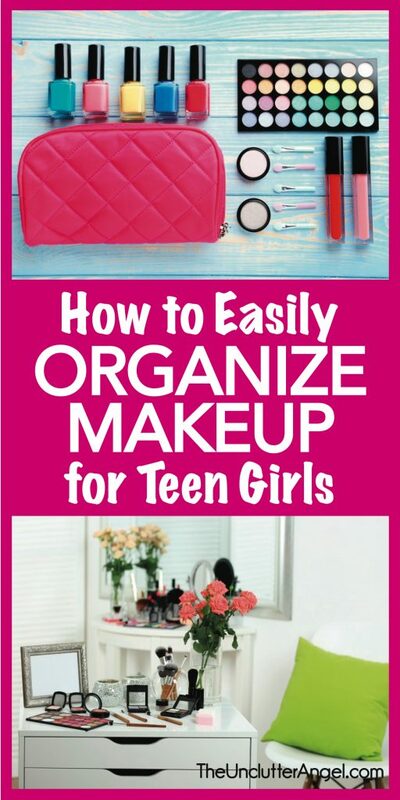 There are many fun and clever ways on how to easily organize makeup for teen girls. You may find that the more organized the makeup, the more use you will get out of what you already have, and find that you will buy less. These are general guidelines to keep makeup at their freshest, Cassie. 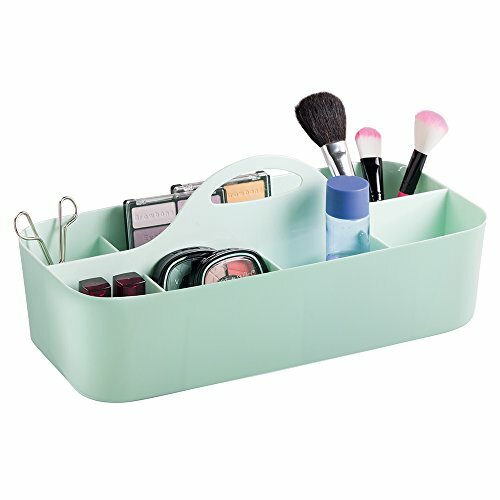 Hope you got some fun ideas to organize your makeup! Thanks for visiting!